The Oz Lotteries app allows you to play lotto at home or on the go, anytime, anywhere. We are a fully accredited retailer of Australian lottery tickets. Oz Lotteries makes playing lotto on your phone easy! 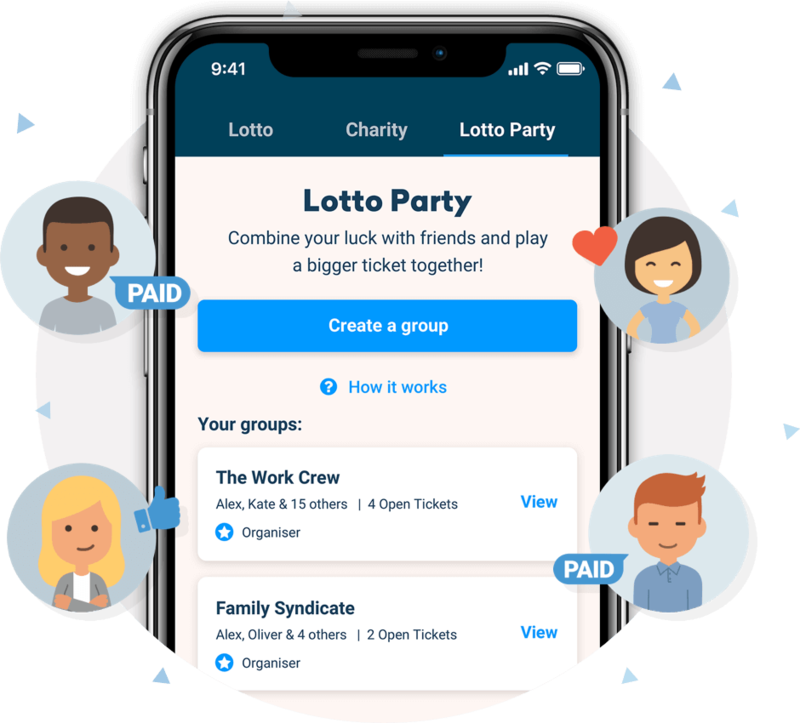 Just like the Oz Lotteries website, the Oz Lotteries app lets you play your favourite lotto and charity draws in the palm of your hands. Never miss another draw again. The Oz Lotteries App offers you a safe and secure way to buy official Australian lotto tickets on your phone. We notify you when you win! App customers can choose to receive notifications of any winnings immediately after the draw! Have all the latest lotto results at your fingertips and check if you've won anytime, anywhere. You can set up alerts to notify you when Oz Lotto or Powerball prizes jackpot to a certain amount. Combine your luck with friends using Lotto Party! The easiest way to setup and play Lotto Syndicates. Invite as many friends as you like to play your favourite lotto games. If your ticket wins we automatically split the prize between you and your friends. Super convenient and designed with the user experience in mind- the devs have done a great job. Great app that provides everything I need. The email notifications and PayPal payment make it far superior to other apps on offer. Great App, haven't had any issues with using it. Certainly appreciate being able to have a little dabble on the lotteries. This is such a user friendly app. It makes purchasing so easy and I don't think I'll go back to going in store.